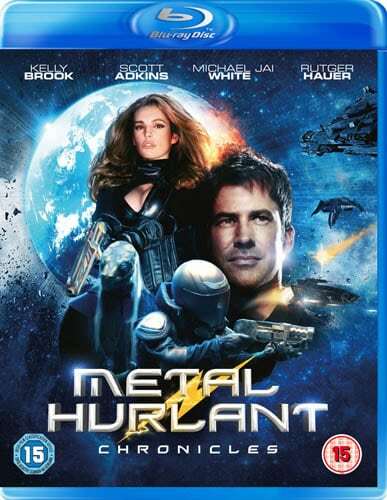 HomeNewsWin METAL HURLANT CHRONICLES on Blu-Ray In Our Competition! To celebrate the release of Metal Hurlant Chronicles – out on DVD & Blu-ray 20th July – we have a copy on Blu-ray to giveaway! Rutger Hauer (Blade Runner), Scott Adkins (The Legend Of Hercules), Michael Jai White (Arrow), and Kelly Brook (Piranha 3D) head up the cast in this exciting new sci-fi series with a unique premise: 12 stories that each take place on a different planet – spanning time, space, and alien cultures – all linked by the remains of the Metal Hurlant asteroid hurtling across the universe. For your chance to win METAL HURLANT CHRONICLES on Blu-Ray, simply comment below telling us which is your favourite role of Rutger Hauer’s and why? The competition will close at 11.59pm GMT on Thursday 30th July 2015 and one valid comment will be chosen and notified by email. Win THE GALLOWS on DVD In Our Competition! 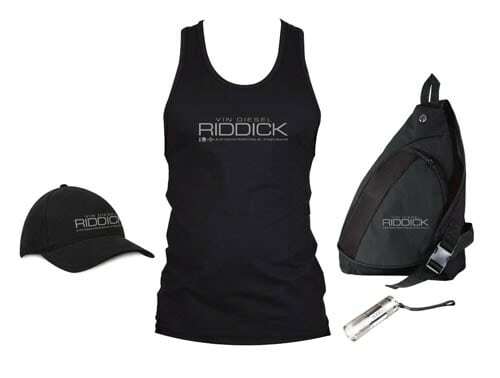 Win an Awesome RIDDICK Merchandise Bundle In Our Competition! Roy Batty in Blade Runner, he made that part his own. Roy Batty in Blade Runner – an iconic role in an iconic movie, and easily Hauer’s best performance. Salut of the Juggers – A champion of the game forced to play in small towns and villages because of a past transgression. It’ll have to be Roy Batty in Blade Runner. Great character, great film. Has to be Roy Batty in Blade Runner – a pivotal role in an iconic film. Rutger Hauer nails the Roy Batty, character going from emotionless killer to heartbreaking compassion, and provides one of the most memorable monologues in movie history. So my vote is for Blade Runner without question. Rutger Hauer was cool in Blind Fury. Roy Batty in Blade Runner. Awesome film!!! Rutger Hauer as John Ryder in the hitcher x chilling! Roy Batty in Blade Runner. Great character, awesome monologue! Xavier March in Fatherland. Great book, great adaptation and Rutgers best role. Blind Fury – a modern take on the classic Zatoichi movies. I loved him in ‘Ladyhawke’ with Michelle Pfeiffer for once he wasn’t the baddie. Has to be “Bladerunner” absoluite classic movie. As John Ryder in The Hitcher, which totally pus you off hitchhikers. John Ryder in The Hitcher – the film gives me the creeps! I was going to say The Hitcher until I remembered Blind Fury! Nick Parker,the ultra cool blind samurai fighter who incredibly never gets ONE DROP of blood on his sword as he dispatches bad guy after bad guy.. I thought he was scary as hell in Sin City! Navarre in Ladyhawke – very eighties and a bit cheesy, but still entertaining. The Hitcher- great suspense, and chilling in equal measure. Roy Batty in Blade Runner as he played the character so well. Whats not to like? Roy Batty in Bladerunner for his improvised speech – brilliant! Harley Stone in Split Second. There was something about that film and his deadpan characterization that just makes this my favourite of his films, never mind my favourite of his characters. Nick Parker in Blind Fury – He’s blind and he chops a fly in half with a sword for ruining his picnic! The out of control detective in Split Second. I loved the monster in it. Hobo in Hobo With A Shotgun, he played the character so well. John Ryder in The Hitcher – creepy! The Huntsman in the 10th Kingdom and his silly hat with candles in Nostradamus as the Mystic Monk! Has to be The Hitcher, he does sinister perfectly. Erik in Soldier of Orange. The film engrossingly showed the horrors, bravery and moral dilemmas of Erik and his friends caught up in the Second World War. my favourite film of his is “salute of the jugger”. post-apocalyptic sports movie. him and joan chen. what’s not to love. his best performance is either “split second” (him and neil/alastair duncan have such a great rapport) or the early stallone movie “nighthawks” where he goes full euro-bad-guy nuts and set the tone for his whole career. The Hitcher – has to be his best role ever in one of the best movies ever! Has to be The Hitcher, It still send s a shiver down my spine. The remake wasn’t a patch on the original. Roy Batty in Blade Runner – one of my all time favourites!